Raising a toddler is not for the faint-hearted. 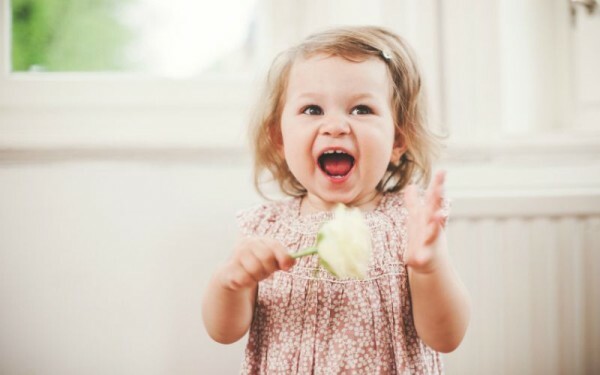 Toddlers are programmed to test our buttons, and even though they are hard work, you have to admit that the toddler phase is one of the most rewarding stops on the parenting journey. Amongst the mess and the madness, the teething and the toilet training, the sleep deprivation and the Sesame Street reruns, there are a few incredibly invaluable life lessons that our toddlers are inadvertently teaching us. If you’re a parent of a toddler, then make sure you have a read of this (especially if you’ve had an extra tough day with your tiny terror). If you ever feel like you are always in a rush, take an hour and go for a walk with your toddler. Sure, you may only make it half a block, but it will teach you to slow down and appreciate every single speck of dirt around you. And, sometimes, this lesson is needed. Even if that means a swimsuit in the middle of winter or three shirts and no pants. Fashion trends come and go. But finding your own personal taste and having the confidence to wear what you want never goes out of style. 3. Nothing beats a kiss and a cuddle. Scraped your knee at the playground? Got in trouble at work? A kiss and cuddle will make it all go away. Why is the sky blue? Why do we have to eat chicken for dinner? Why is Daddy’s chest hairy? Why does the dog walk on all fours? You’re never too old to learn something new. No one will remind you just how little you know about the world than a toddler. Except, perhaps a curious five-year-old. Is there anything sweeter than a toddler’s cheeky grin? Even if they are covered in baby powder or have turned your bathroom into a museum of toilet paper. A smile makes it all okay. Don’t want broccoli for dinner? Toddlers are the masters of getting what they want and their unwavering dedication to this can serve as an important lesson in life. Stand up for what you think is right and trust your instincts. If broccoli doesn’t feel right, then don’t eat it. If something isn’t working for you, move on. It’s that simple. Sometimes, all you need to brighten your day is to put on a tiara and remind yourself that you are awesome. Nothing brightens a toddler’s day quite like a surprise, whether it’s a $200 toy or an empty box. If it’s wrapped up and unexpected, then it’s the greatest thing in the world. Even now, as an adult, a small surprise, from flowers on any day other than a birthday or anniversary to an unexpected note from hubby left on the fridge, can be enough to make you smile. No one seems to understand this more than a toddler. And, while I do love my sleep, some things, like rocking your little one to sleep when he’s scared or rubbing his back all night when he’s sick, are well worth the bags under the eyes and the extra shot of coffee in the morning. Sometimes the world is simply too amazing and too interesting to sleep. And no one understands this better than a toddler. Sure, toddlers are demanding little creatures but they also bring so much joy and hilarity into our worlds. What life lessons have you learned from your toddler?